The article outlines the main strands of design research into means-based and end-based inquiry. It examines problems with design research on the appearances of objects which are qualitative and psychological. A tentative outline is made about the core of design and how designers approach aesthetic judgements during design. The distinction between intuitive design and process-based design is made before exploring a question posed by Hillier (1998) concerning design´s relation to processes and form. Finally, a case is made for an art-criticism approach to design research. Akner-Koler, C. (1994) Three Dimensional Visual Analysis. Stockholm: University College of Arts, Crafts And Design. Allison, H. E. (2001). Kant’s theory of taste: a reading of the Critique of aesthetic judgment. Cambridge: Cambridge University Press. Broadbent, J. (2003). Generations in design methodology. The design journal, 6(1), 2-13. Clarkson, J., Coleman, J., Hosking, I., (2007) The Inclusive Design Toolkit. Cambridge: Springer. Desmet, P., & Hekkert, P. (2007). Framework of product experience. International journal of design, 1(1). Frayling, C. (1993). Research in art and design. In Grand, S. Jonas. W (eds.) Mapping Design Research. Basel: Birkhauser. Gasparski, W., & Strzalecki, A. (1990). Contributions to design science: Praxeological perspective. Design Methods and Theories, 24(2), 3. Glanville, R. (2012) Re-searching design and designing research. In Grand, S. Jonas. W (eds.) Mapping Design Research. Basel: Birkhauser. Grace, W. G. (1891). Cricket. JW Arrowsmith. Grand, S., & Jonas, W. (2012). 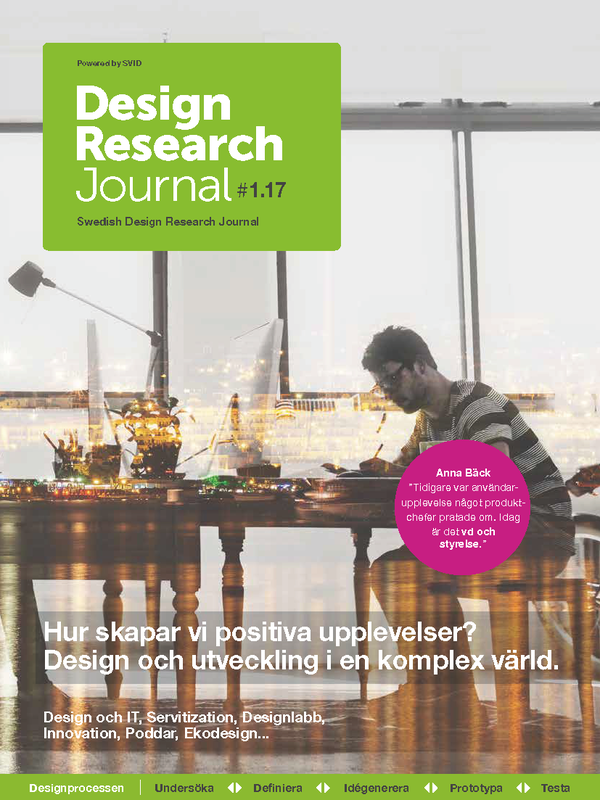 Mapping design research: positions and perspectives. Birkhäuser Verlag GmbH. Hagtvedt. H., & Patrick, V. M. (2014). Consumer response to overstyling: Balancing aesthetics and functionality in product design. Psychology & Marketing, 31(7), 518-525. Herriott, R. (2016). On Ugliness and the Automotive. Proceedings of the 7th Ascea Conference on Aesthetics. Hillier, B. (1998). A note on the intuiting of form: three issues in the theory of design. Environment and Planning B: Planning and Design anniversary issue, 37-40. Hoegg, J., Alba, J. W., & Dahl, D. W. (2010). The good, the bad, and the ugly: Influence of aesthetics on product feature judgments. Journal of Consumer Psychology, 20(4), 419-430. Jones, J.C. (1970) Design Methods: the seeds of human futures. London: John Wiley & Sons. Kant, E (2007). Critique of Judgement. (Trans.) J.C. Meredith. Oxford: Oxford University Press. Krippendorff, K. (2005). The semantic turn: A new foundation for design. London: Taylor & Francis CRC. Kroes, P., Light, A., Moore, S., Vermaas, P. (2009) Design in Engineering and Architecture; towards an Integrated Philosophical Understanding. In Vermaas, P.E., Kroes, P., Light, A., Moore, S. (eds.) Philosophy and Design: from engineering to architecture. London: Springer. Langdon, P., Clarkson J., Robinson, P., Lazar., Heylighen, A (eds) (2012). Designing inclusive systems. London: Springer: London. Loos, A (1913) “Ornament und verbrechen”. Cahiers d’aujourd’hui. Issue 5. Love, T. (2000). Philosophy of design: a meta-theoretical structure for design theory. Design studies, 21(3), 293-313. McConnell, S. (2008). How Kant might explain ugliness. The British Journal of Aesthetics, 48(2), 205-228. Michl, J. (1995). Form follows WHAT. The modernist notion of function as a carte blanche, 1, 20-31. Nagel, T. (1974). What is it like to be a bat?. The philosophical review, 83(4), 435-450. Kant, E (2007). Critique of Judgement. (Trans.) J.C. Meredith. Oxford: Oxford University Press. Norman, D.A, (2004) Emotional Design: Why we love or hate everyday things. New York, NY: Basic Books. Papanek, G. (1972). Design for the real world. New York, NY: Pantheon. Roam, D (2008). On the back of a knapkin. Penguin: London. Shih-Wen, H., Fu-Yuan, C., Chong, S.C. (2008) Applying aesthetic measurement to product design. International Journal of Industrial Ergonomics 38, 910-920. Steinfeld, E., & Maisel, J. (2012). Universal design: Creating inclusive environments. John Wiley & Sons. Tuch, A., Roth, S., Hornbæk, K., Opwis, K., Bargas-Avila, J.A (2012). Is beautiful really usable? Toward understanding the relation between usability, aesthetics and effect in HCI. Computers in Human Behavior 28, 1596-1607. Weber, R (1995) On the aesthetics of ar- chitecture: a psychological approach to the structure and order of perceived architectural space. Avebury: Aldershot. Herriott, R. (2017) “What is it like to see a bat?”, Swedish Design Research Journal, 15(1), pp. 13-21. doi: 10.3384/svid.2000-964X.17113.